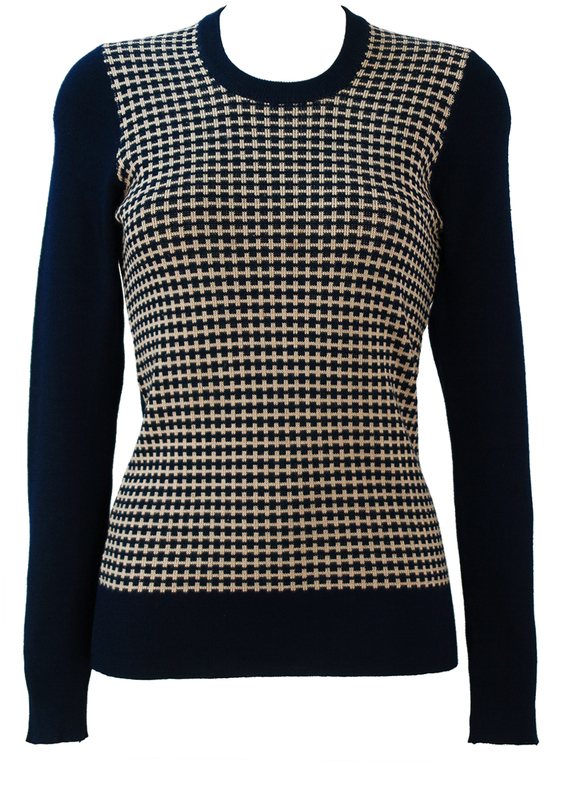 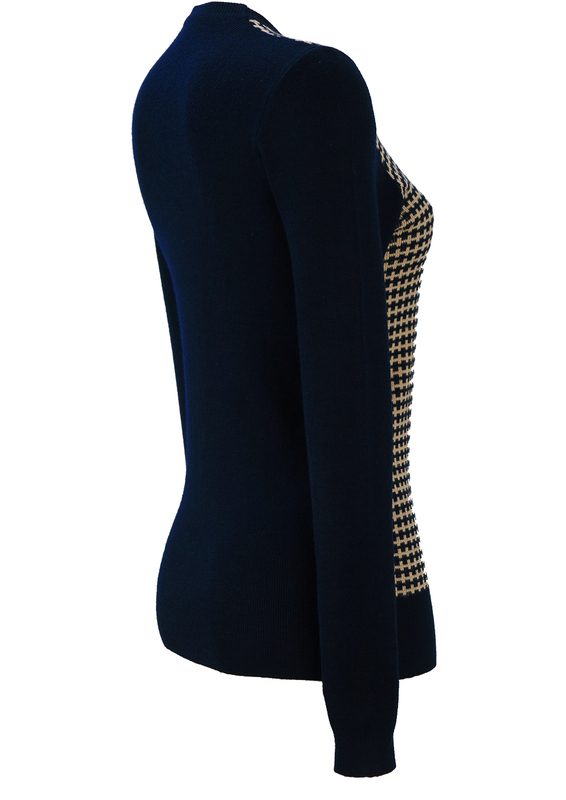 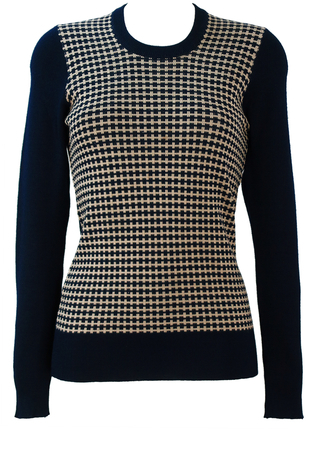 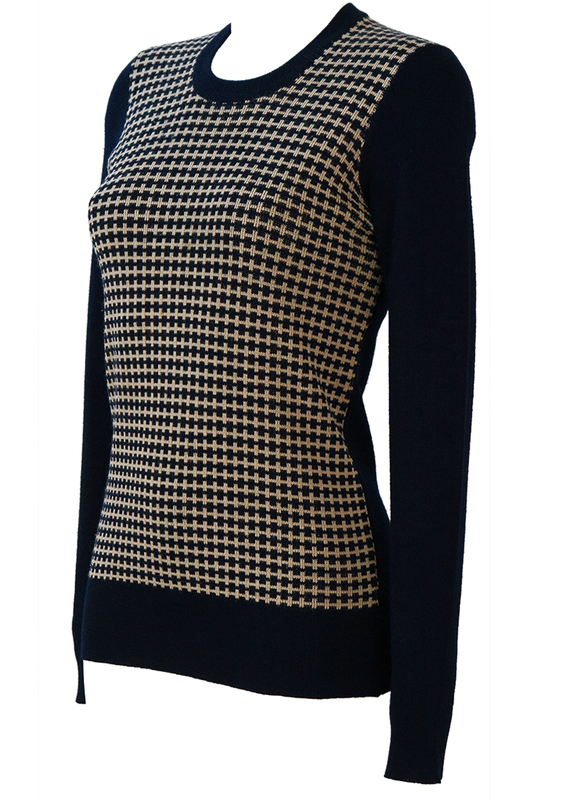 Classic vintage 60’s round neck, fine ribbed knit jumper in navy blue featuring an abstract version of a dogtooth check pattern in blue and cream. 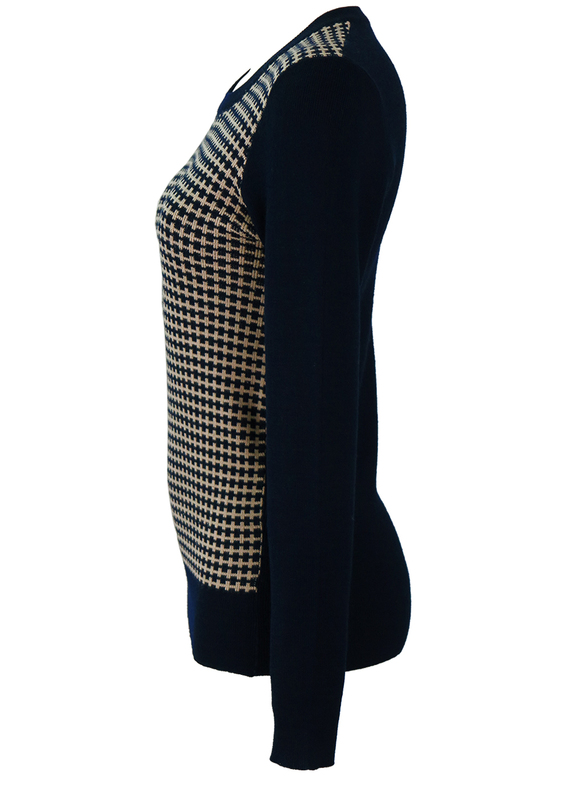 There is no sizing label, however we approximate the garment to be a size S and all our measurements have been taken with the fabric non stretched. 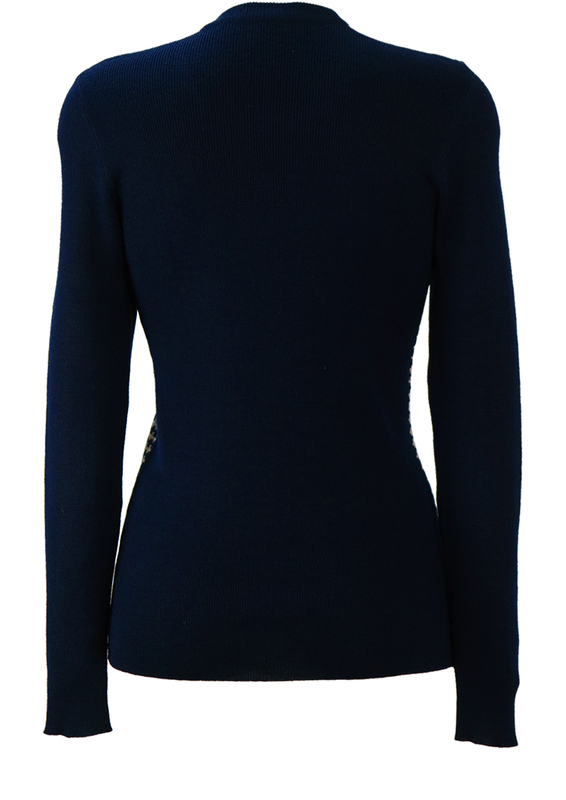 Although there is no fabric label the jumper has a soft acrylic/man made feel to it and is in great condition.